The city is architecture, the scene of culture, commerce and politics - an expression of our civilisation. Investments are made in the city's future; visions are realized. But the city is also history, grown level upon level, the development sometimes rigidly controlled, sometimes chaotic. But above all, the city is a place to live, the centre of life for constantly increasing portion of society. In an effort to understand the complex phenomenon city, we co-operate with a network of historians, urban planners, architects, journalists, IT specialists and communication designers. We are also in close touch with culture, politics and commerce, with investors and project developers. We see ourselves as mediators and co-ordinators between the leading figures on the urban stage. Everything we provide for you comes directly from us: expert advice on the content and planning, the realisation and promotion of your projects. 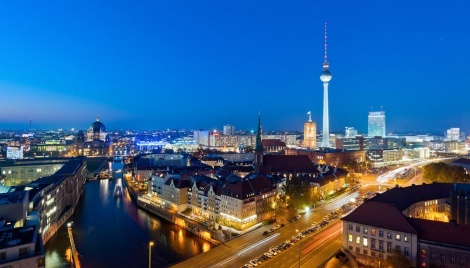 In addition we offer your various types of Berlin information in the form of lectures by experts, texts or information tours. We offer these services in several languages. Our clients are international architects and urban planners, project developers, construction and commercial firms as well as institutions in the fields of politics, cultures and education. Our central office and our focal point is Berlin, but our scope reaches far beyond the limits of the city.